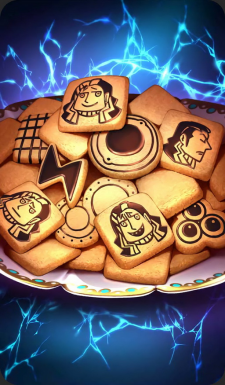 Telsa's face is drawn on the cookies. Just between you and me, these cookies are uncannly similar to the cookies Edison baked. Gentlment & Lion: "Why?! Was it because we used the same ingredients and followed the same recipe!?"